M.I.A. Pretty much describes me the past few weeks month. I feel like ever since I got my wisdom teeth taken out, which btw sucked (even though it only took me like 2 days to recover lol), I've been non-stop busy. Wisdom teeth, golf tournament, graduation, graduation parties, beach, MY graduation party, more beach, & country 500 musical festival; I swear I've barely had time to breathe lately. BUT here's to hoping things wind down from here on out so I can post more... or that I just woman up & make time for blogging. That could work too. Let's just get into today's post. I don't know about you guys, but I love to start my mornings with a glass of good ole water. I feel like since so many people tend to "forget" to drink water throughout the day, making it the first thing you do when you wake up will not only hydrate your body, but guarantee that you get at least a glass of it in your day. Water has replaced my morning OJ only because I really enjoy drinking water. However, I know that is not the case for most people; sometimes you just want a little flavor! 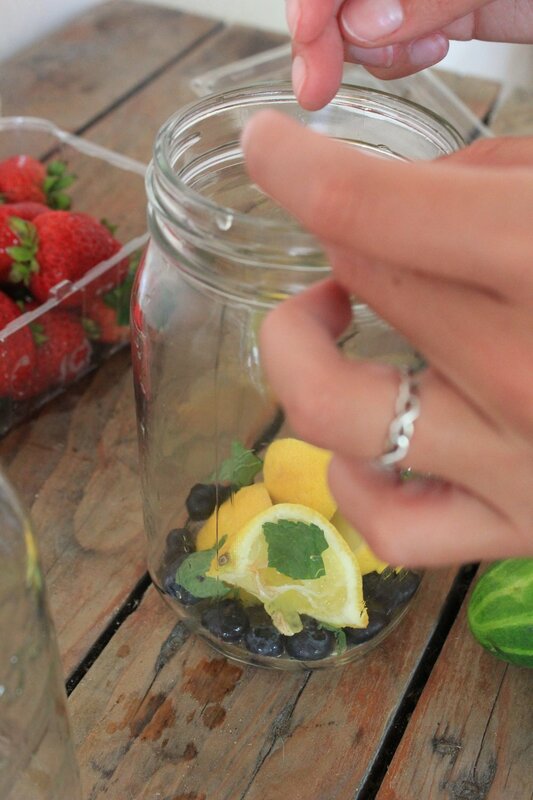 Fruit infused water is by far the easiest (& most delicious) way to satisfy your tastebuds and your body. 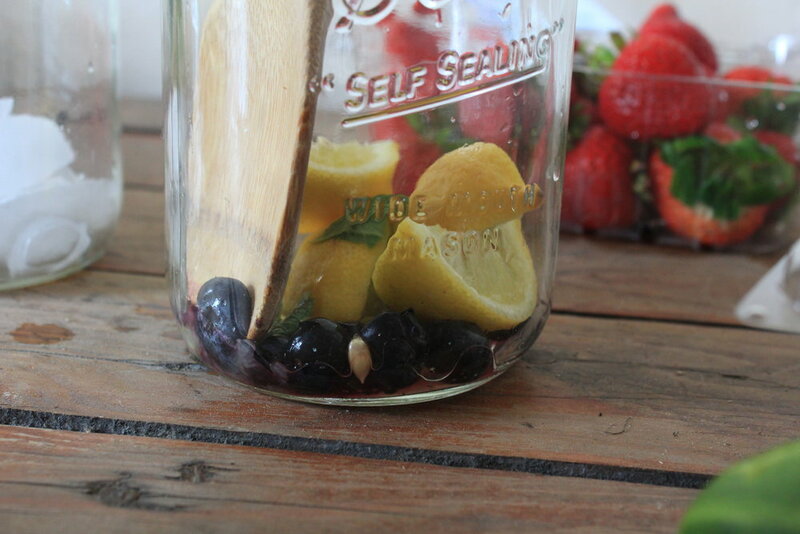 Since it's super yummy and kind to your body, there's no reason not to try infusing your h2o! I especially love it during this time of year when water in this florida heat is a MUST. Also, fruit infused water reminds me of nature & the outdoors, it's pretty to look at, and it just all-around makes me one happy gal, ok!! 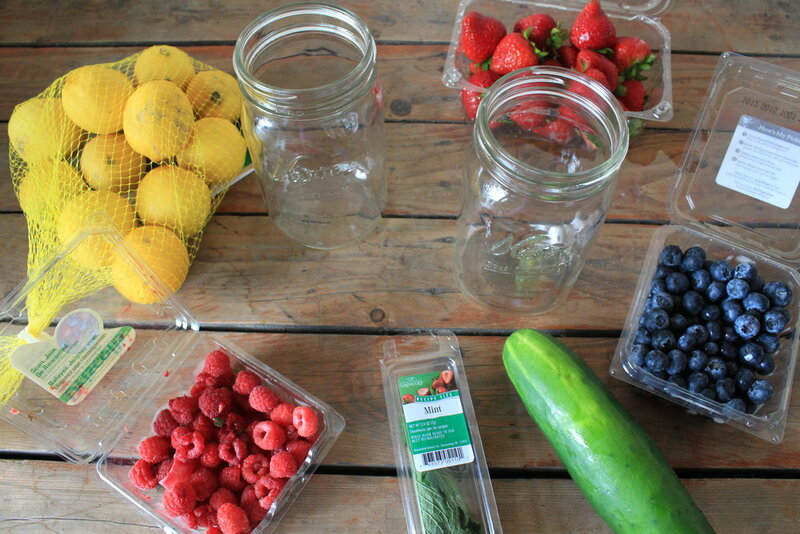 Below are a few of my favorite fruit & herb h20 combos!! 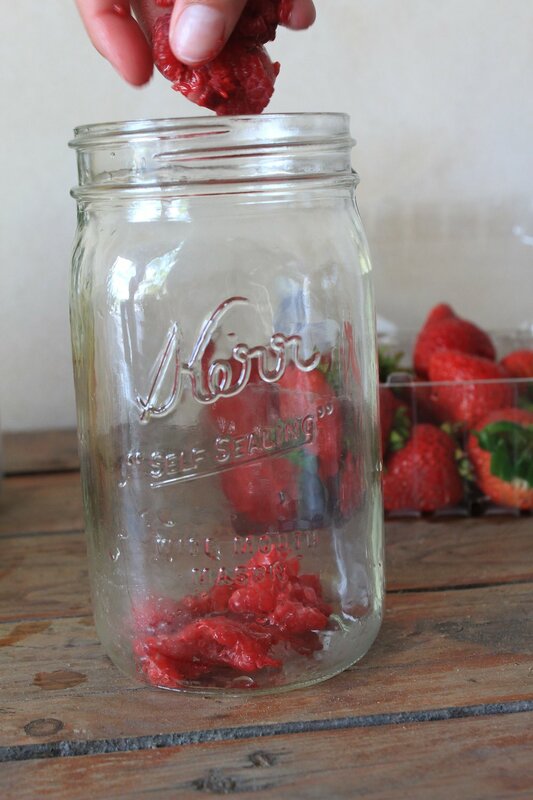 Basically, I love me some strawberries. So, I had to include a flavor where they were incorporated & I came up with this! 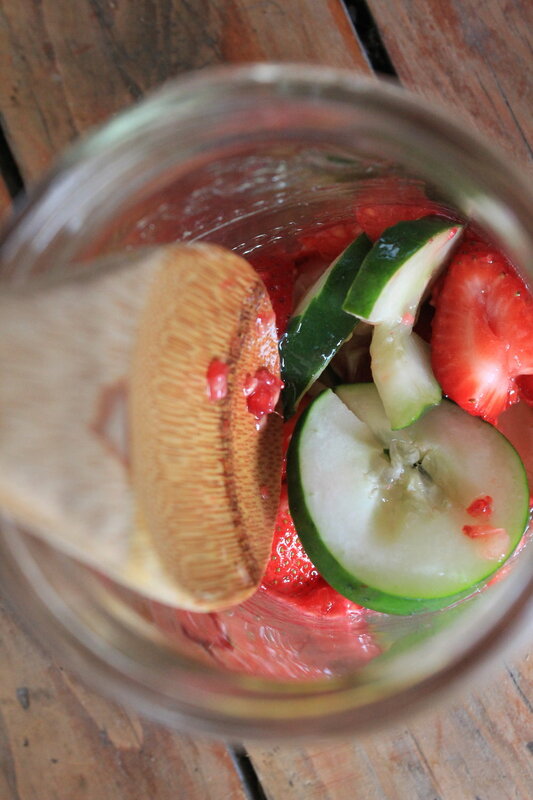 Although it's super refreshing and hydrating (the cucumber is pretty much known for refreshment), it's so flavorful & really gets ya to make that "ahhh" noise after each sip, lol. On the other hand, cucumbers are great for the skin. So by applying them topically & not just in your water, they can help reduce swelling, boost complexion, and aid sunburns! This combo is especially one that's great to carry around in a water bottle all day because hell, it just looks beautiful, lol. 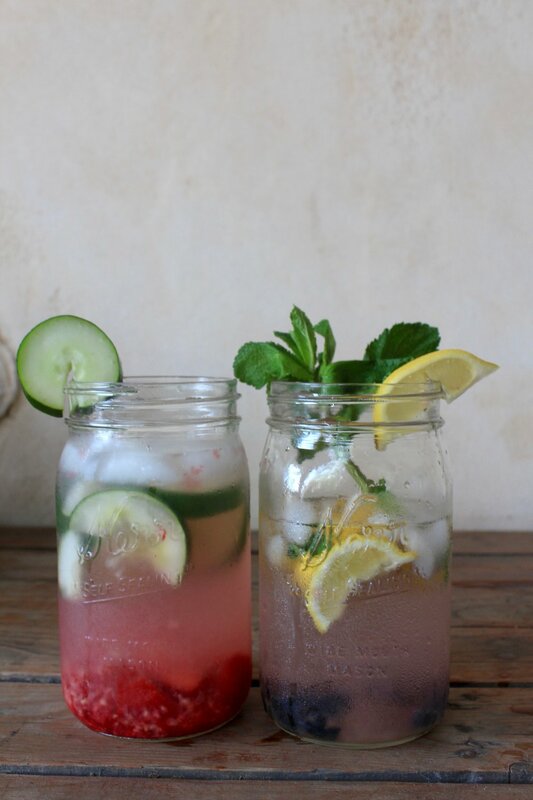 Is it just me or are these drinks perfect for the summertime? 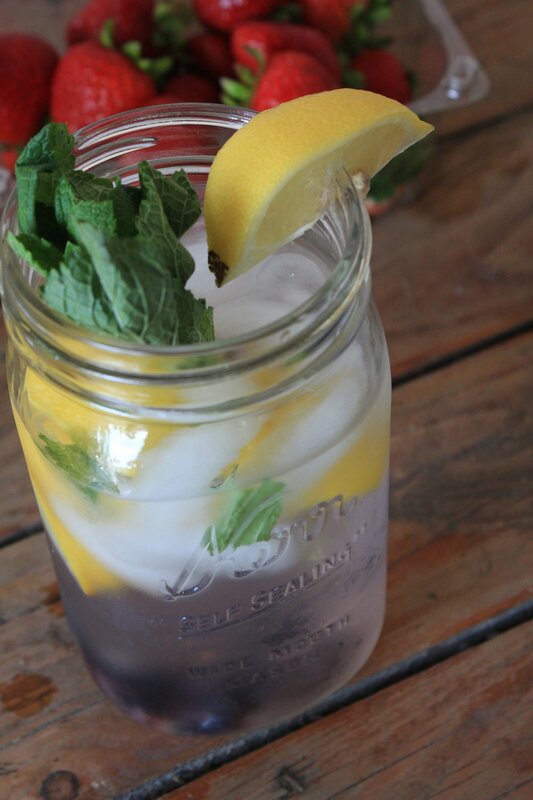 Festive, hydrating, & delicious. & probably would be pretty scrumptious with a little splash of fun in them, as well... What? Who said that. If you try any of these flavors let me know what you think of them!! 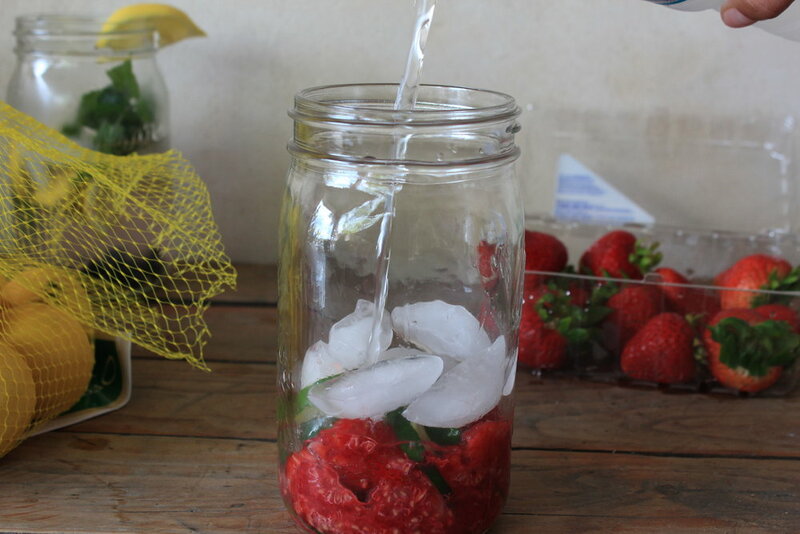 I'm dying to find some other yummy fruit water combos, so if you have any, please comment below or in my ask.fm! Also, let me know what you guys would like to see from me more; fashion, food, tips, etc! I would love to hear y'alls feedback. & oh, HAPPYSUMMER!